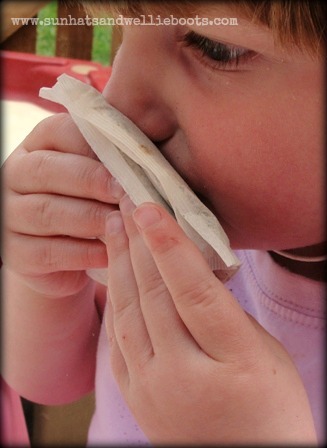 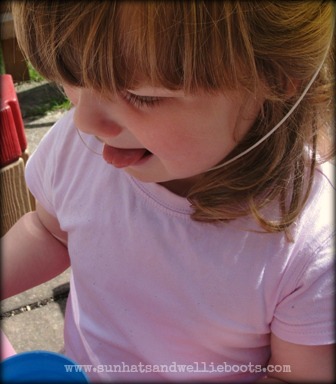 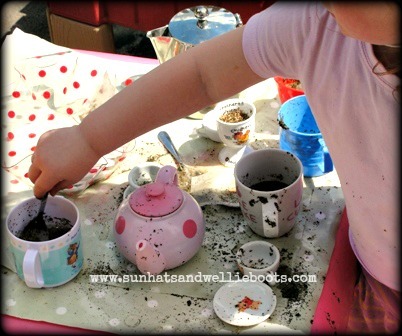 Here's an activity which started in the kitchen & quickly moved outside to the garden! 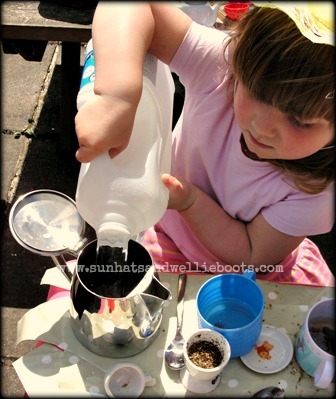 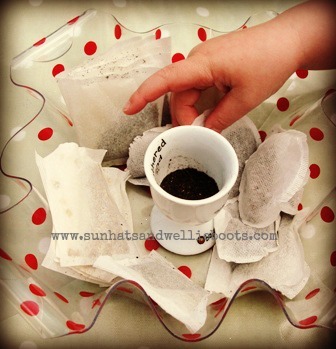 Minnie found a couple of teabags in the kitchen which she ripped open, poured the contents into cups & began to add water. 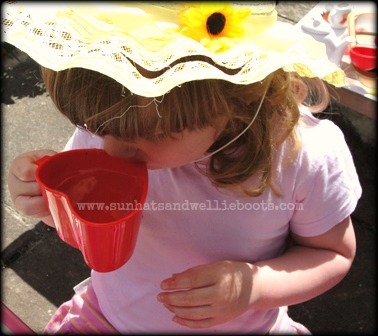 When the water began to flow I thought we'd take the experimenting outside!! 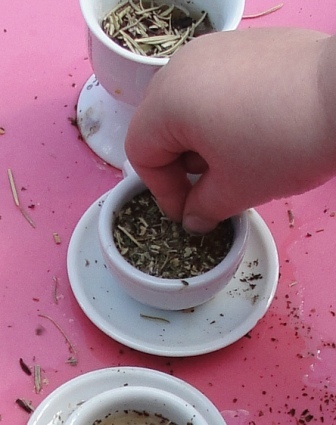 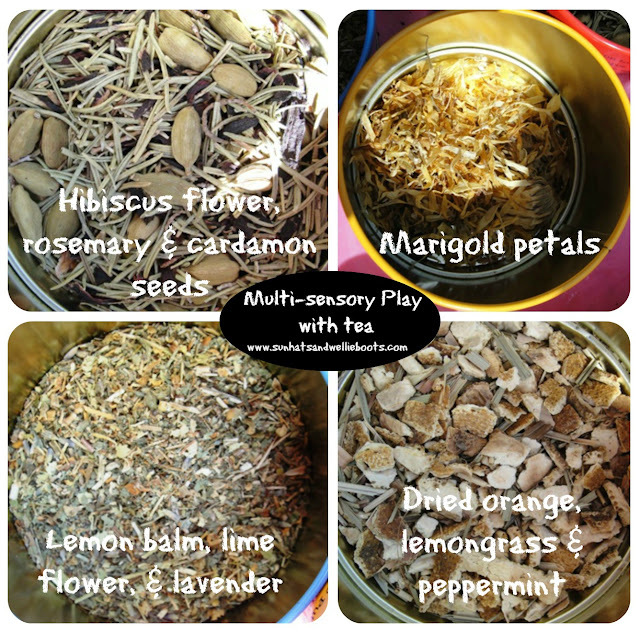 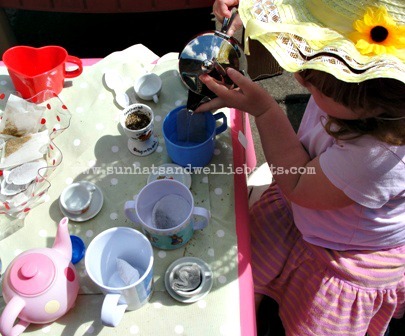 So armed with a selection of herbal teabags (mint, chamomile, raspberry, ginger & lemon), loose tea, cups, teapots, spoons, scoops, & water we set off for some multi-sensory play in the garden. 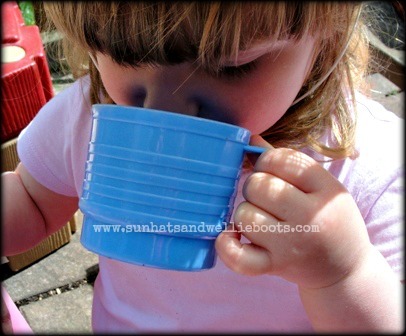 ...then smelling the tea infused water. 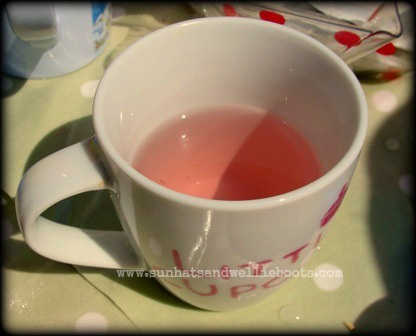 ...clearly some teas were less tasty than others! 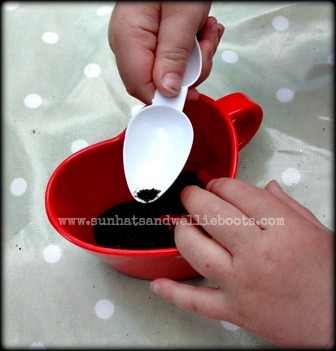 This white medicine spoon was great for transferring tea from one container to another, & exploring the different colours & ingredients. 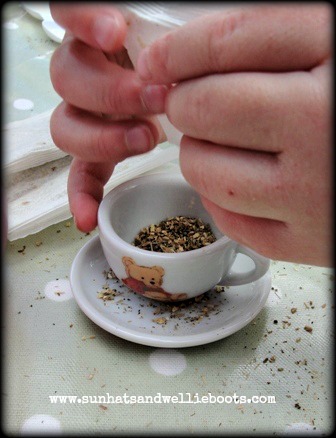 The herbal teas produced some beautiful colours too! I'd had a selection of loose teas sitting at the back of the cupboard for ages, & today seemed a good day to explore them! 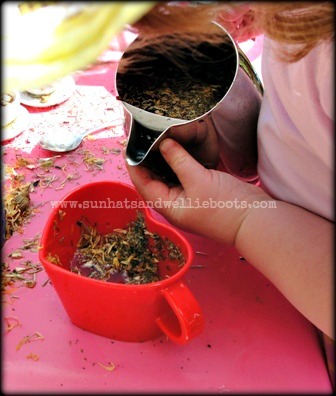 The tea was great for mixing with & without water. 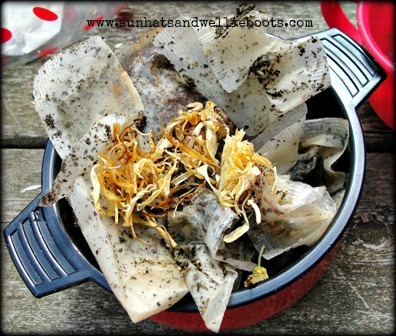 And at the end of the activity all the empty teabags & remnants of the natural tea went straight onto our compost heap - perfect!